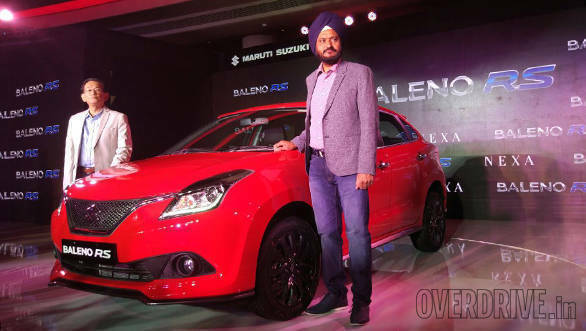 Maruti Suzuki's first performance hatchback, the Baleno RS, has been launched in India at Rs 8.69 lakh, Ex-Delhi. 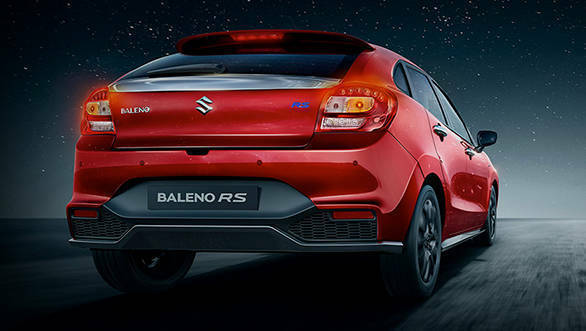 The Baleno RS (where RS stands for Road Sport) is available only in the Alpha trim and sits on top of the range. The Maruti Suzuki Baleno RS brings in an all-new 3-cylinder turbo-petrol engine which makes 102PS/150Nm. This corresponds to an increase of 19PS/35Nm over the 4-cylinder naturally aspirated 1.2-litre petrol engine of the regular car. Maruti has mated the new Boosterjet engine to a 5-speed manual. The engine though makes 8PS more in the international models. Maruti says that the power figure is down because the engine was detuned for our fuel quality. 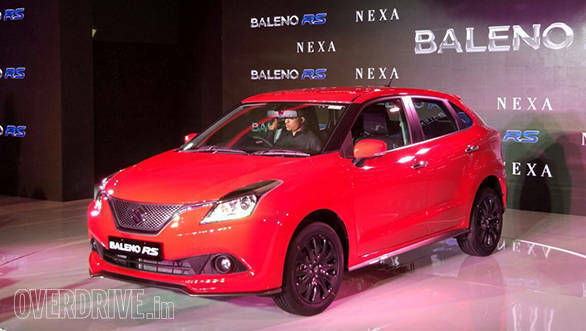 The company claims that the Baleno RS delivers a fuel efficiency of 21.1kmpl. The new Baleno RS looks similar to the regular trim; however, there are slight changes to the grille while the bumpers have been replaced with sportier units. Maruti has also new alloy wheels similar to the ones in the Ignis. A new aluminium diffuser at the rear is the other change to the looks of the Baleno RS. The all-black upholstery is the same as the regular car and features the SmartPlay infotainment system. In terms of safety, the car comes with dual airbags and ABS with EBD as well as has been crash tested for side impact, front offset and pedestrian safety compliance. The Baleno RS also gets disc brakes all around. Maruti also offers ISOFIX child seat mounting points on the Baleno RS. The Baleno RS competes with the Polo GT TSI, Ford Figo petrol DCT and Fiat Abarth Punto in the performance hatchback segment in India.